When I create a design with a feature that's been a bit of a challenge to create structurally I like to hang on to the original samples as a bit of a 'catalogue', however that is starting to prove challenging space wise. To create some room on the studio shelves I've just loaded some of these designs on the site at a tiny $10 each + postage. 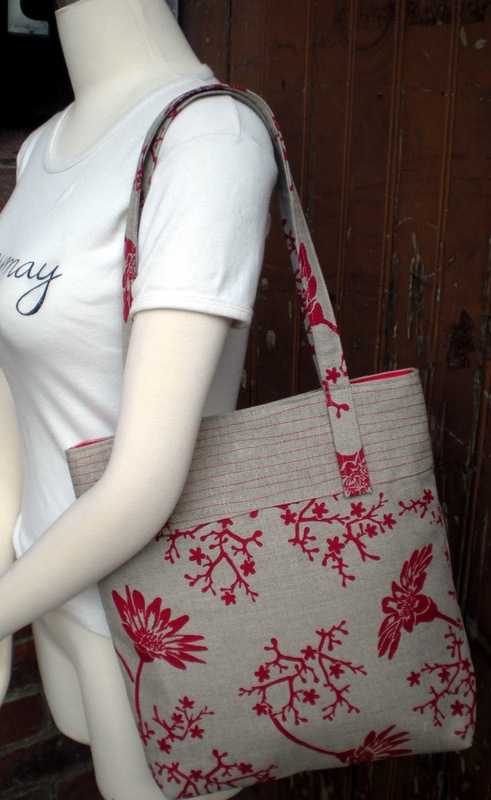 There are also some of the remaining designs from the popular 'bale of wool' series at this price. You could pop these away for next winter or send them to the Northern Hemisphere for Christmas gifts! 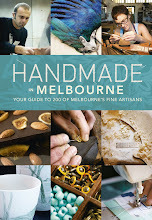 Browse what's available here. 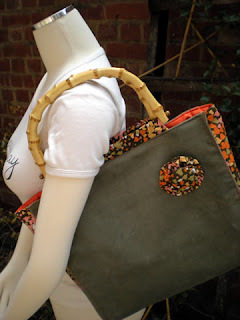 Mini May featured in some shots of new designs for the Aussie Summer - a 2 toned pale blue door right near the studio was the perfect backdrop! Like a bit of a bargain? We've just created a 'Facebook Deals' category for our online store and we've kicked off with a Friday Frenzy of 50% to say goodbye to Winter and make room for some new designs on our shelves! A small sign of Spring - hello yellow jonquil! I never tire of looking at the big warehouse window that lets in the light to the Lyssy May studio. 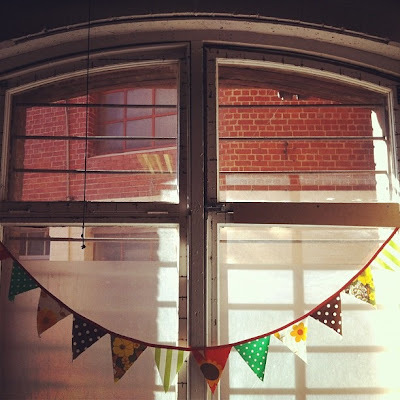 The mood changes with the light and today was a gorgeous day to particularly enjoy the bunting that my dear friend Shannon made for me way back when I moved in - it still looks super charming! This week's Queen's Jubilee celebrations reminded me that I had recently acquired this pin from her 1953 Corination tour of Australia that was amongst a treasure trove of vintage buttons that belonged to my Great Aunt Heather in North Queensland. 10 years ago I was living in London at this time and fondly remembered the 50th celebrations - no one does street bunting like the English! Head on over to our facebook page for details on how you can recieve a Jubilee discount when you shop with Lyssy May this week! Lyssy May in Ballarat this Sunday! 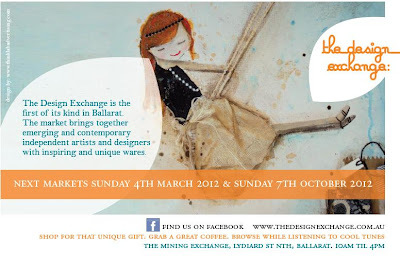 The design exchange market is on @ the mining exchange (Ballarat) this Sunday from 10 AM to 4 PM. 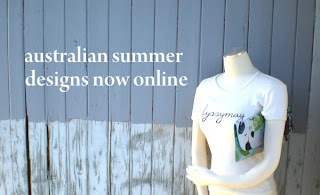 Lyssy May is looking forward to heading to regional Victoria! 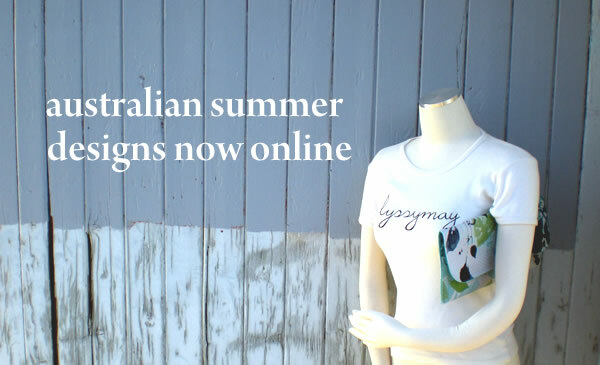 Lyssy May is a handmade accessories label based in Melbourne, Australia. 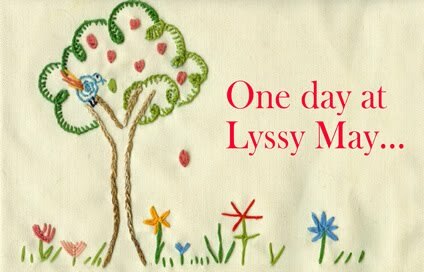 This blog follows a day at Lyssy May: whether that be what is fresh from the sewing machine or what I see around me that I just have to share with you.